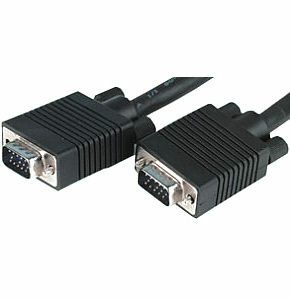 25m VGA cable / SVGA cable, ideal for connecting a PC or laptop to monitor. 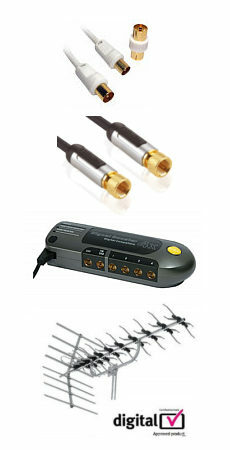 5m DVI-I cable, transfers both analogue and digital signals. Male to Male monitor cable. DVI-I Male 24+5 29 pin connector each end. Gold plated connectors. Ferrite supressors for RFI rejection. Colour black. Length 5m Please note that DVI-I cables are 29 pin DVI cables, they will not plug into DVI-D 24 pin sockets. 3m Displayport Extension Cable, Male to Female. 3m displayport extension cable, can be used to extend displayport cables. Male to female displayport monitor extension cable. Male to female connectors. Gold plated connectors. Colour black. Length 3m.